In this position, Hazard oversaw communications throughout the young nation. As the Revolutionary War began, Ebenezer Hazard shut the door on his publishing business. Hazard had run the company out of Philadelphia since his graduation from Princeton but was closing the operation to fulfill his appointment as the city’s Revolutionary Postmaster. The following year, Hazard was chosen as the Surveyor General of the Continental Post Office. In this office, he took charge of finding the best mail routes to take. By 1782, Ebenezer Hazard was selected as Postmaster General. He held this position for eight years, which spanned the lifetime of the United States under the Articles of Confederation. Although Hazard’s lengthy term of service indicates a successful run, in 1788 he made several changes which irked some of his fellow Founders. First, he changed the main form of mail delivery in the north from stagecoaches to individual riders. Although the riders could carry less mail, they moved faster and cost less to upkeep. Next, Ebenezer stopped allowing publishers to send their newspapers to publishers in other cities for free. While this might sound reasonable (I mean, pay for your postage, right?) the truth is sending papers for re-publication was a long-standing tradition. It was meant to disseminate important information and keep the public informed. Of all the people who were upset by these changes, none was more important than George Washington. Sitting in his post-Commander-in-Chief-pre-President retirement, Washington thought that stopping the free mailing of newspapers would hinder the passage of the Constitution which was right in the middle of the ratification process. As Ebenezer was a Federalist, we can assume that if this impression was given it was unintentional. Once the Constitution was ratified, and Washington took office, Hazard maintained the position of Postmaster General. Technically, this means he was the first person to ever hold this office in our current Federal Government. Ebenezer quickly assisted in documenting the state of the Postal Department before overseeing the return to stagecoaches as the primary means of mail delivery. Unfortunately, Washington still harbored resentment over his previous actions and within a year replaced Hazard with Samuel Osgood. Osgood, who had no responsibility for Hazard’s removal, is usually seen as the first United States Postmaster General. After his tenure as Postmaster General ended, Ebenezer made several attempts at returning to Federal Office. Having spent most of his life holding governmental positions, he did not expect an easy transition to private business. To his credit, he was one of the founders of the Insurance Company of North America. This organization was unique as they offered protections for fire, life and marine. Additionally, while insuring the cargo on ships was common, insuring belongings in a house was not. ICNA was the first company in the United States to protect both the house and what was inside of it. Hazard also spent his later years publishing collections of documents related to the American Revolutionary and Colonial History. While his work with the Post Office helped the Founders communicate, his historical publications help us reflect on the Founders themselves. Want to read about another early Postmaster General? Want to learn more about the Post Office’s role in American History? 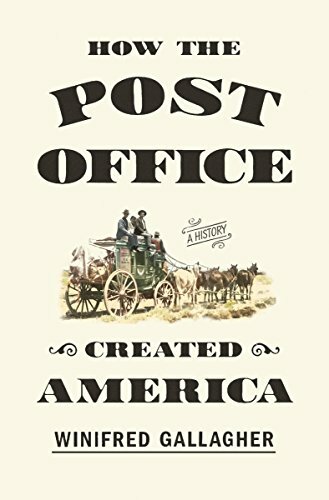 ‘How the Post Office Created America’ discusses just how important the Post office was to the Revolution.